This is definetly an unusual speaker in the tube scene. The sensitivity with 82dB/m is extremely low. However, it works surprisingly well with low powered tube amps. It is simply one of my most favorite speakers. 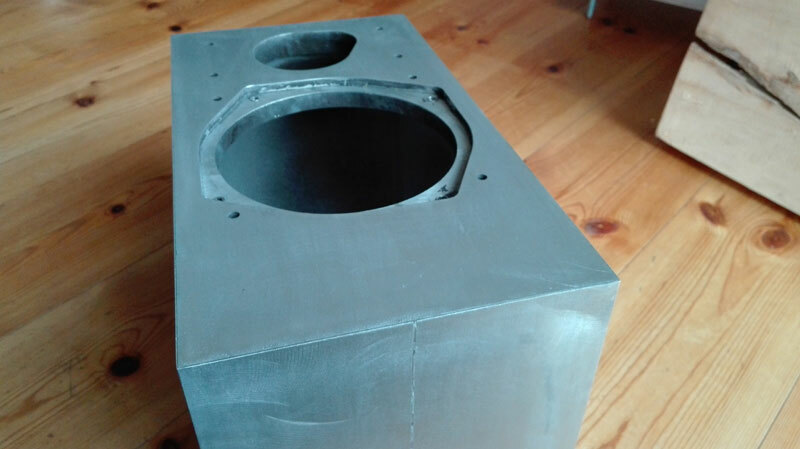 Considering what speakers and chassis are hyped, this one is yet undiscovered…. The nextel paint became gooey over the years. To remove it I have used Acetone. Outside of course. Aceton dissolves the old paint easily, it can be removed with a plastic scraper. Traces can be wiped of with kitchen papers. A blank aluminium surface appears. Looks actually nice, so for the time being I have grinded a 400er sand paper pattern on it. Painting adds more damping also. But sound is fabulous like this. Once taken apart I rewired with solid core wires. 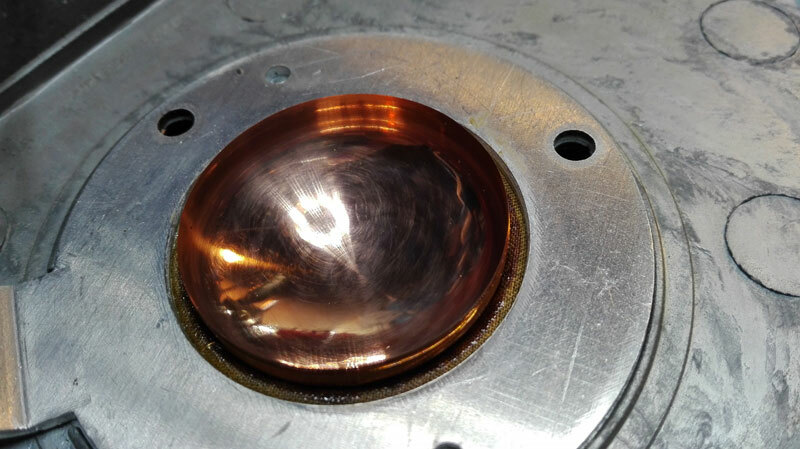 The copper tweeter was polished and the felt damper was missing in one speaker. So I replaced the single one with new identical pieces for each speaker. Now, with 82db sensitivity ‘word is’ you have to use a super powerful amplifier. Well, it is a small speaker, so maximum levels are limited, especially if compared to the horn speakers I am used to. However with a EL34 tube amp and its 40W it can easily fill a room with enough volume for listening. The Bass is simply surprising, most people will ask about the subwoofer location, but there is none. 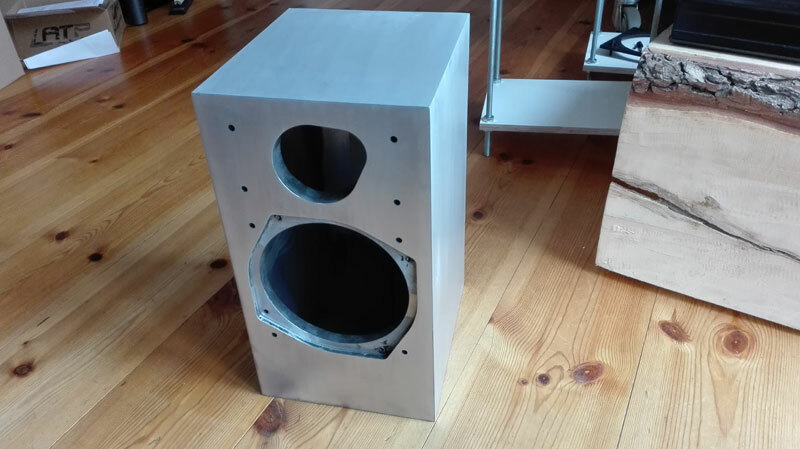 Again a small speaker, with (surprise) physical limits. So, very low bass is not there. But down to 60Hz everything is delivered very believable with almost no smearing, giving the impression of real good and deep bass. 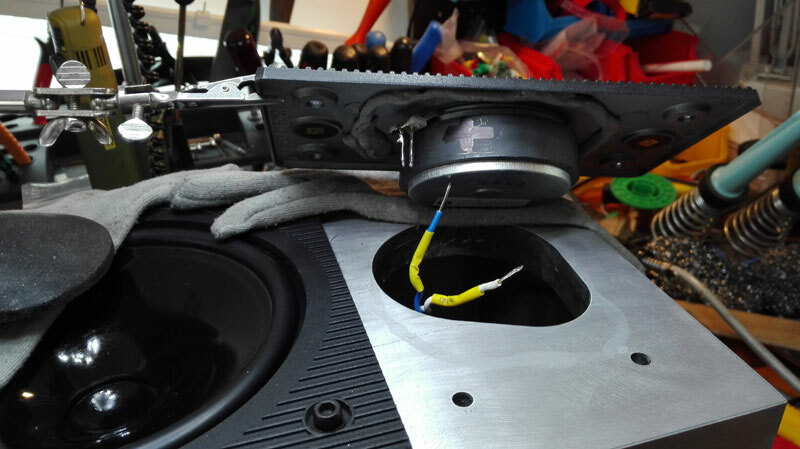 Bass and imaging prformance benefit from the alumium honeycomb enclosure. The material known as aerolam and used in aviation. 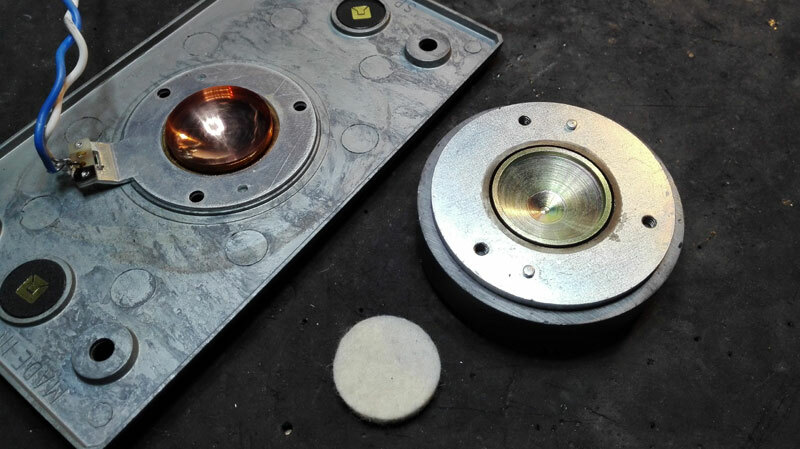 For sound the little weight is not so important as the very rigid construction and its positive absorbing qualitites.